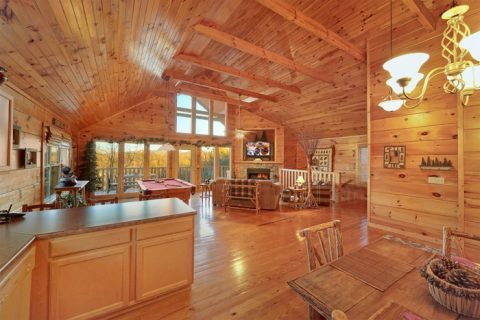 Come explore Pigeon Forge and enjoy a relaxing stay at this 1-bedroom cabin for rent with a 3D television, fireplace, hot tub, and more. 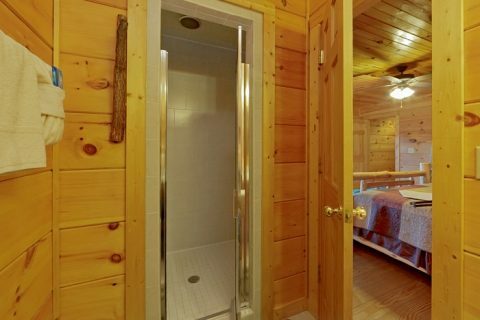 In addition to a comfortable cabin amenities, this cabin places you close to top area attractions such as Dollywood, Dollywood Splash Country, The Island, and more. 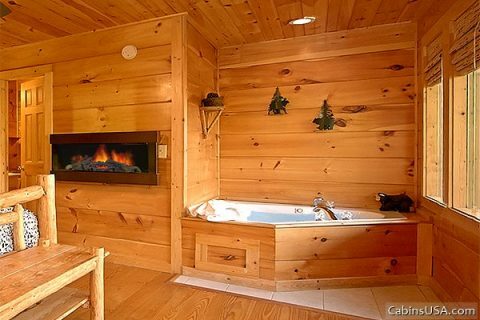 "Alone At Last," offers guests everything they need for an unforgettable cabin experience. 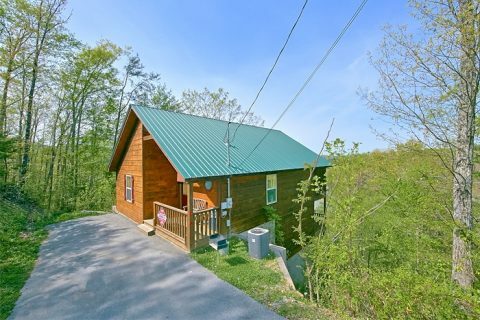 While there’s plenty to see and do around your cabin, you’ll enjoy plenty of entertainment at your cabin as well. 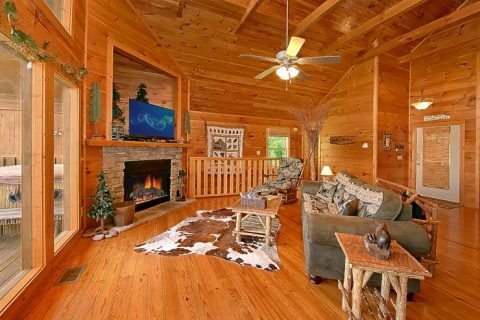 The living room features a gas fireplace with stone mantle that’s perfect for night spent cuddling in front of the warm glow. 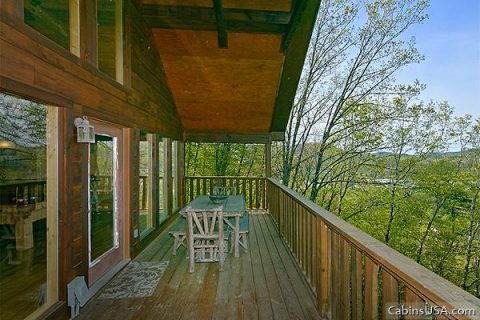 Everyone will enjoy delicious dinners fresh from the full-sized kitchen or off the grill at the custom crafted dining table, where everyone can share stories of their adventures in the Smokies. After dinner, everyone can enjoy some fun and games at the custom-designed pool table. 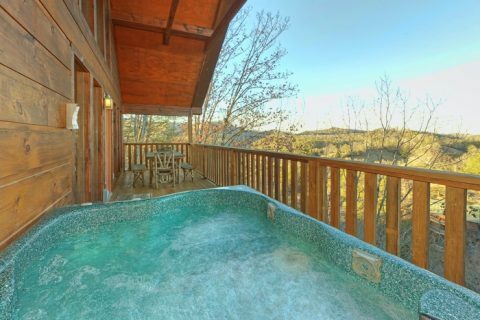 Step outside on the deck and relax in the warm waters of your cabin’s hot tub and soak in the gorgeous Smoky Mountain views. 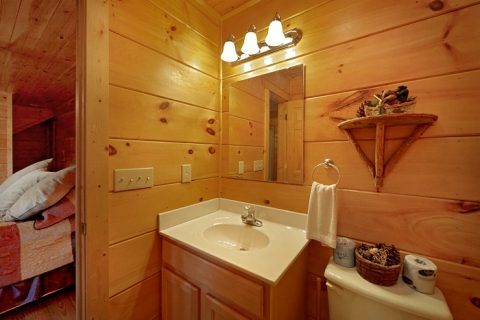 You can also enjoy the conveniences of WiFi anywhere in your cabin. 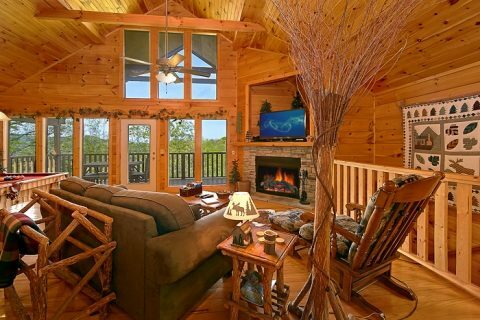 Eventually, you’ll need to rest up for another day of adventure. 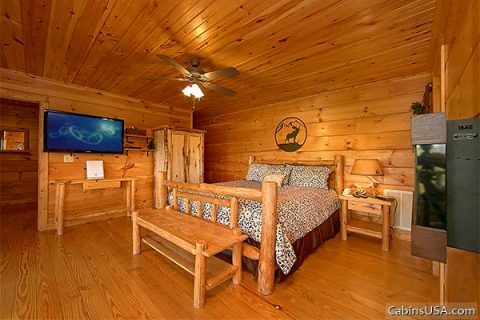 You’ll enjoy this cabin’s bedroom that features a king size log bed, fireplace, in-room Jacuzzi, and television for a relaxing mountain escape. 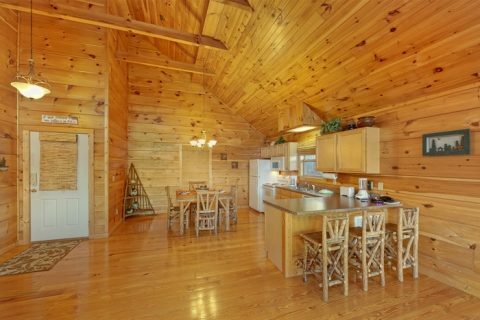 This Pigeon Forge cabin offers up to 4 guests a comfortable cabin escape with all the comforts of home and more. 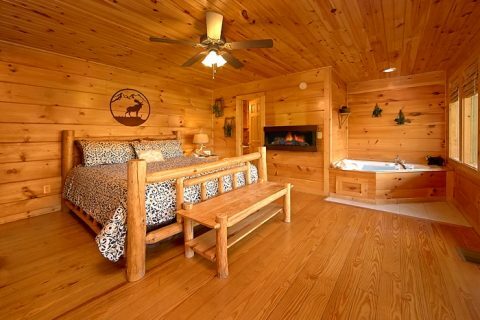 In addition to this cabin’s great accommodations, another one of our excellent cabins “Ah-Mazing” can be booked together with this cabin to sleep an additional 4 guests. 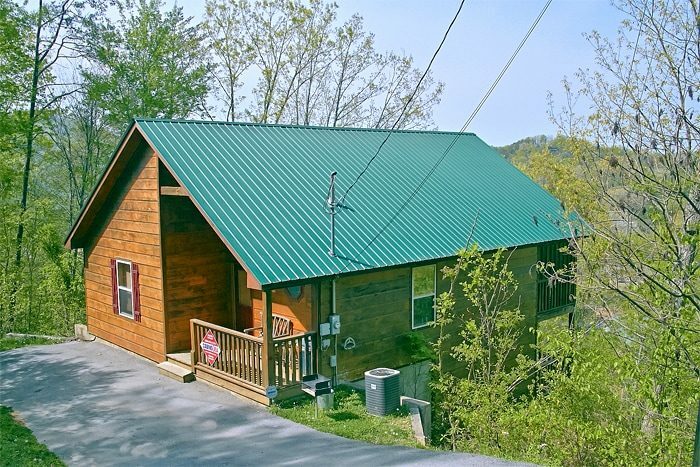 Start planning your trip to the Smokies today when you book this one-bedroom Pigeon Forge cabin!